Auer, M. R. (2008). Sensory perception, rationalism and outdoor environmental education. International Research in Geographical and Environmental Education, 17.1. 6 – 12. Basile, C. G. (2000). Environmental education as a catalyst for transfer of learning in young children. Journal Of Environmental Education, 32(1), 21-27. Bell, P., Lewenstein, B., Shouse, A. W., Feder, M.A. (2009). Learning science in informal environments: People, places, and pursuits. National Academy of Sciences. 1 – 349. Berk, L. (2006). Child development, Boston, MA: Allyn & Bacon. Burdette, H., Whitaker, R. (2005). Resurecting free play in young children: Looking beyond fitness and fatness to attention, affiliation, and affect. Archives Pediatrics & Adolescent Medicine, 159, 46-50. Chawla, L. (2007). Childhood experiences associated with care for the natural world. Children, Youth and Environments, 17(4), 144-170. Dillon, J., Marian, M., O’Donnell, L., Reid, A., Rickinson, M., & Scott, W. (2005). Engaging and learning with the outdoor – The final report of the outdoor classroom in a rural context action research project. (http://www.bath.ac.uk/cree/resources/OCR.pdf). Faber Taylor, A. & Kuo, F. E. (2006). Is contact with nature important for healthy child development? State of the evidence. In C. Spencer & M. Blades, (Eds. ), Children and Their Environments. (p. 124 – 140). Cambridge, UK: Cambridge University Press. Kahn, P. (1997). Developmental psychology and the biophilia hypothesis: Children’s affiliation with nature. Developmental Review, 17, 1-61. Kaplan, R., Kaplan, S., Ryan, R. (1998). With people in mind: Design and management of everyday nature. Wash. DC: Island Press. Kernan, M., Devine, D., (2010). Being confined within? Constructions of the good childhood and outdoor play in early childhood education and care settings in Ireland. Children & Society, 24. 371 – 385. Lieberman, G. and Hoody, L. (1998). Closing the achievement gap: Using the environment as an integrating context. Paper presented at the State Environment and Education Round Table. Matsuoka, R. (2010). Student performance and high school landscapes: Examining the links. Landscape and Urban Planning, 97. 273-282. Maynard, T., Waters, J. (2007). Learning in the outdoor environment: A missed opportunity? Early Years, 27.3, 255 – 265. Ratanapojnard, S. (2001). Community oriented biodiversity environmental education: its effects on knowledge, values, and behavior among rural fifth- and sixth-grade students in northeastern Thailand. Unpublished doctoral dissertation, School of Forestry and Environmental Studies, Yale University. Wells, N. & Lekies, K. (2006). 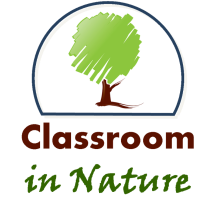 Nature & life course. Children, Youth and Environments, 16(1), 1-24. Winters, J., Ring, T., Burriss, K. (2010). Cultivating math and science in a school garden. Childhood Education, 86, 248G – 248J.